Anise - a cultural herb of the family celery. In the wild are not known. Estimated birthplace anise – is ancient Egypt, where he came to southern and eastern Europe, where it is cultivated to this day. 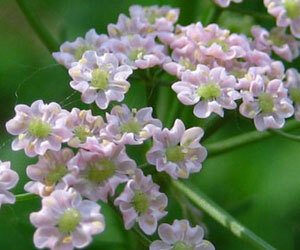 Also anise is grown in the United States, Russia, Ukraine, China and India. Anise oil is widely used in the food (as a spice) and the perfume industry, soap and medicine. Anise oil is extracted from the fruit of anise, in which the content of essential oils reaches 4-5 percent. Oil is used in the treatment of gastric motility, intestinal motility, flatulence, colds upper respiratory tract. Medicinal properties of anise oil are due to the ability to phlegm in the respiratory tract and enhance the secretory functions of the various parts of the gastrointestinal tract. In addition, it is assigned to a part of modular solutions lactating women, since it helps increase milk production and elimination of toxicity. Anise oil has long been used as a deterrent against many insects: cockroaches, ticks, mosquitoes, moths, bees, lice and other. Fruits of anise and their derivatives have been applied in the food industry. So, anise oil used to make different varieties of bakery products, canned fish, sausages, alcohol (absinthe, sambuca, etc.) and soft drinks. Fruits of anise in the kitchens of some people of the world are used in soups and confectionery. Despite the medicinal properties of anise oil, it should not be exceed the recommended dose when administered, massage or kneading, since overdose can occur dizziness, and irritation of the gastrointestinal tract. For this reason, in the sauna anise oil should be used in the compositions of other assorted plants (rose, sage, geranium, clove, lavender).